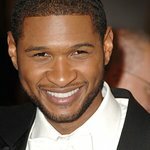 LA's BEST — Better Educated Students for Tomorrow — is to hold its annual Family Brunch on June 7, and will honor singer Usher with a Family Focus Award. The Annual Family Brunch – to be held at the Millennium Biltmore Hotel in downtown Los Angeles – salutes the importance of family and provides an opportunity for LA’s BEST to honor those in the community who support its program and enrich the lives of children. Joining Usher in receiving honors at the event will be Harvard graduate and Teach for America corps member Mirla Urzua, who will be honored with the Alumnus Award, and Variety Magazine will be honored with the Community Partner Award for their creative support of LA’s BEST. 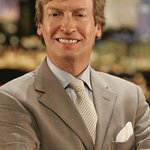 Nigel Lythgoe will also make an appearance to present one of the awards. LA’s BEST will also celebrate 20 student winners of the LA’s BEST citywide writing and art contest and their families. If you would like to purchase a table, tickets or have any other questions regarding the Brunch, contact Patty Phillips, LA’s BEST, Donor Relations & Events Manager at (213) 978-0797. Information can also be found here.